Thank you for Sponsoring Walk4Water6, Dr. Vessely! Corporate Sponsors and In-Kind Donors allow us to fund event expenses so that 100% of the event registrations and donations can be applied to World Vision’s WASH program in Zambia. Sponsorship money that exceeds event expense is applied to the fundraising total. Jordan Ramis supports Walk4Water for three main reasons: it is an important civic event in the City ofLake Oswego, where our headquarters office has been located since 1996; Walk4Water provides practical and life-changing help to Zambian people in need; and it deals with water and water law is an important practice group in our firm. Thank you Jordan Ramis for your faithful support through the years! Corporate Sponsors and In-Kind Donors allow us to fund event expenses so that 100% of the event registrations and donations can be applied to World Vision’s WASH program in Zambia. Sponsorship money that exceeds event expense is applied to the fundraising total. My business partner and I take great pride in carefully selecting organizations when deciding where our charitable contribution should go every year. WaterAfrica’s Walk4Water continues to receive our support based on their impact on those needing water just to survive. When you look at the relatively small dollars spent to provide water for hundreds of individuals, and how much we as U.S. citizens take our water for granted, it’s a pretty easy decision. Thank you Whitaker Ellis for your faithful support through the years! Corporate Sponsors and In-Kind Donors allow us to fund event expenses so that 100% of the event registrations and donations can be applied to World Vision’s WASH program. Sponsorship money that exceeds event expense is applied to the fundraising total. We walk because we have literally walked hand in hand with Zambians who walk every day to fetch water; many from murky, contaminated water sources. We have also walked with Zambians to borehole wells that provide clean water. We have seen firsthand the difference it makes in their very lives – the ability for children to attend school, the ability for a full life, the difference between life and death. We volunteer because we hope for all Zambians to have their water walk lead them to clean and abundant water. Last year we introduced Family Sponsorship as a way to formally recognize that much of our fundraising comes from people who donate above and beyond event registration. Family Sponsorship is an important part of our fundraising effort and you can read more in this blog post. If you would like to support Walk4Water6 through our Family Sponsorship ($250+) category, please Click Here. Your Family Sponsorship gift of $250+ includes up to 5 Walk registrations and t-shirts. Contact Us with questions. We have participated in the walk for the last four years and choose to be a family sponsor because we want our friends and family to know the life changing impact that clean water, sanitation and hygiene bring to the villagers in Zambia. The walk allows a forum for us to share with our children the struggles that people all over the world have in obtaining clean, healthy water. We know that a relatively small amount of money (by our standards) goes a long way to changes lives for those in Zambia. 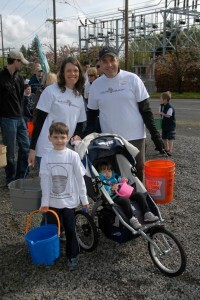 Our family loves the Walk4Water and we look forward to participating again this year. Walk4Water6: Why Do We Need Sponsors? WaterAfrica’s Walk4Water has always been an entirely volunteer effort and most of our volunteers have been part of Walk4Water from the beginning! Ask these people why they keep showing up to help and you’ll hear a variety of personal stories, but universally they connect their stories to compassion for rural Zambian villagers who struggle to survive with unsafe Water and inadequate Sanitation & Hygiene resources. WaterAfrica exists to Raise Awareness, Raise Funds & Transform Lives, and Walk4Water has become our signature event as we pursue these goals. 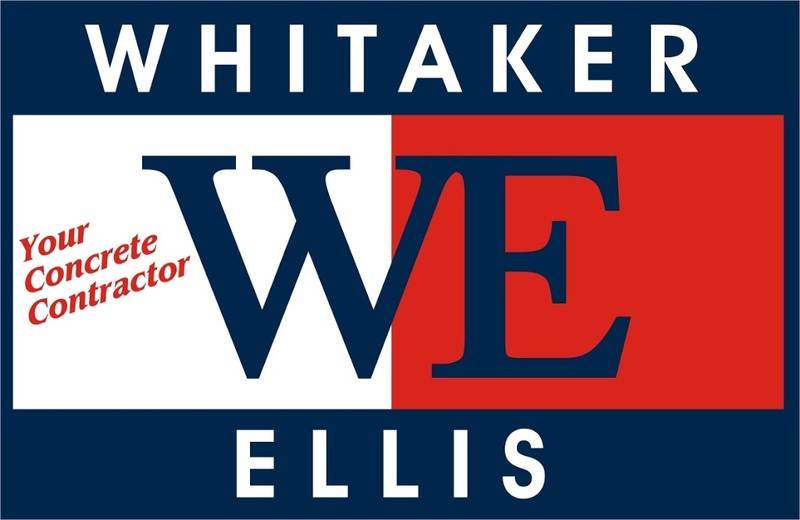 The Walk is a tremendous opportunity to raise awareness and has earned a good reputation in our community as a quality fun, family-friendly event. As event participation has grown we’ve had increased opportunities to communicate the WASH need as we meet with students, community business leaders, city government, neighbors, friends and family. The Walk is a fundraiser and you might assume that event registrations raise the bulk of the money. Event registrations are important(!!) but the majority of the fundraising total comes from event Sponsorship and extra donations. Corporate Sponsors and In-Kind Donors allow us to fund event expenses so that 100% of the event registrations and donations can be applied to World Vision’s WASH program. Sponsorship money that exceeds event expense is applied to the fundraising total. Corporate Sponsors lend credibility and help us build momentum as we push toward our fundraising goals and create a platform for raising awareness. Last year we introduced Family Sponsorship. This represents a trend we noticed as we facilitated the Walk – besides Corporate Sponsorship the bulk of our fundraising comes from people who donate above and beyond event registration. Bringing this into focus with Family Sponsorship allows us to more accurately represent the fundraising aspect of the Walk and (we hope) encourages people to participate in this way. 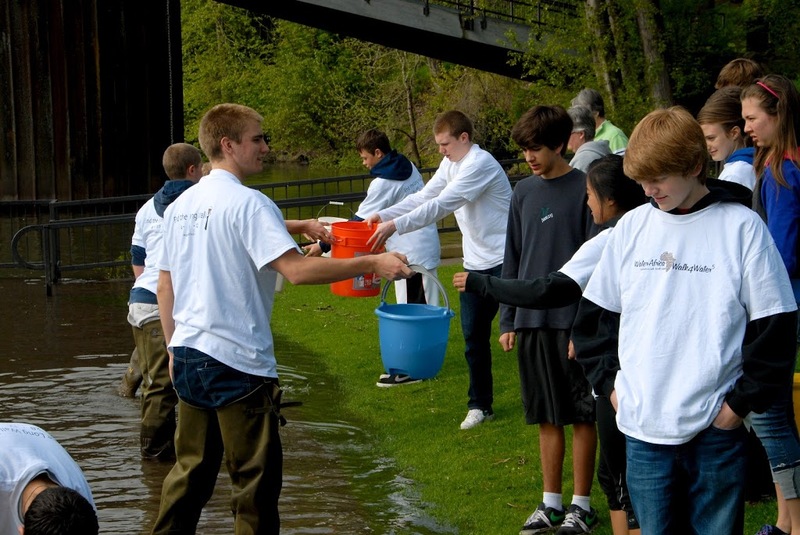 Six years ago we held our first Walk4Water with 100 participants and we raised $6,000. 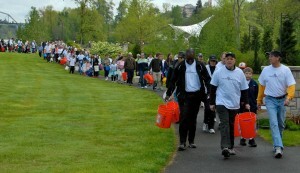 Last year Walk4Water5 had over 400 participants and we raised $55,000. Our Walk4Water6 goal is $60,000 and we can’t do it without you! Sponsors + Participants + Donors. We’re all part of a life-changing story. 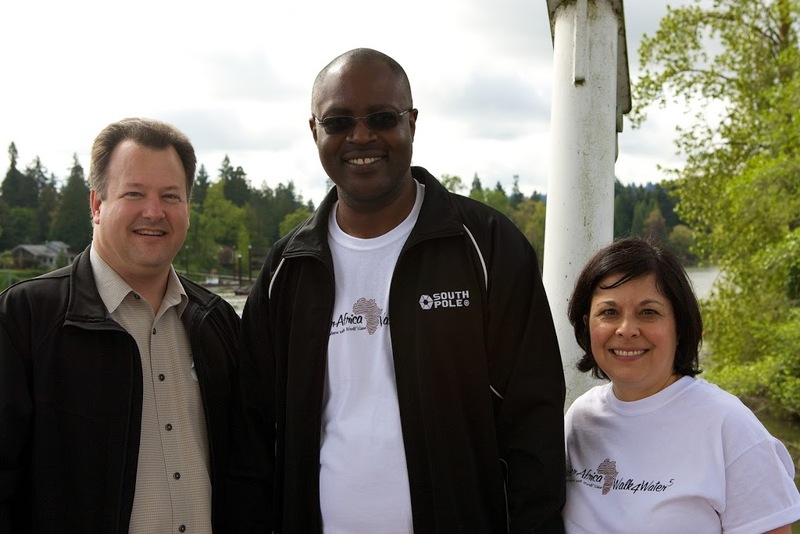 Save the date: April 27, 2013 to Walk with us at Foothills Park in Lake Oswego! Because of the generous support of our Walk4Water Sponsors, 100% of Walk4Water5 proceeds are given to World Vision’s Water, Sanitation & Hygiene projects in Zambia (ZWASH). We’ve asked several of our sponsors Why they choose to sponsor Walk4Water5 and we’ve previously featured Dr. Quenton Gebeau and Mr. Ward Hubbell. Another W4W5 Sponsor, Dr. Michelle Vessely just returned from Zambia this week. 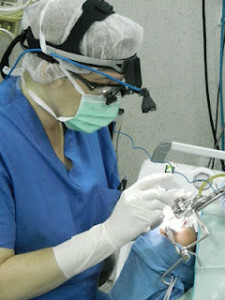 Her surgical team was in Lusaka performing cleft lip and palate surgeries at a CURE hospital, which is specifically focused on poor children with deformities and disabilities. You can read more about her work here. I support the walk because I’ve seen firsthand the devastation that dirty water wreaks on people. Disease, death, lack of schooling for the girls. While in Zambia I passed people on the road carrying water in large bottles and jugs – the lack of access to clean water is real. I’m so impressed with the immense good that WaterAfrica does by providing access to clean water, thus allowing for sanitation, education, and healthy babies and children. Many of our Walk4Water5 Sponsors will join us to Walk tomorrow. Please thank them – we couldn’t Walk4Water without them. Hubbell Communications, supports Walk for Water for both personal and professional reasons. Personally, I am very moved by the plight of the people over in Africa and I have been supporting this cause for a long time. Water is such a fundamental element of life but something we in the United States take for granted in our daily lives. Professionally, I believe companies should have a social conscience and care about the state of the world. 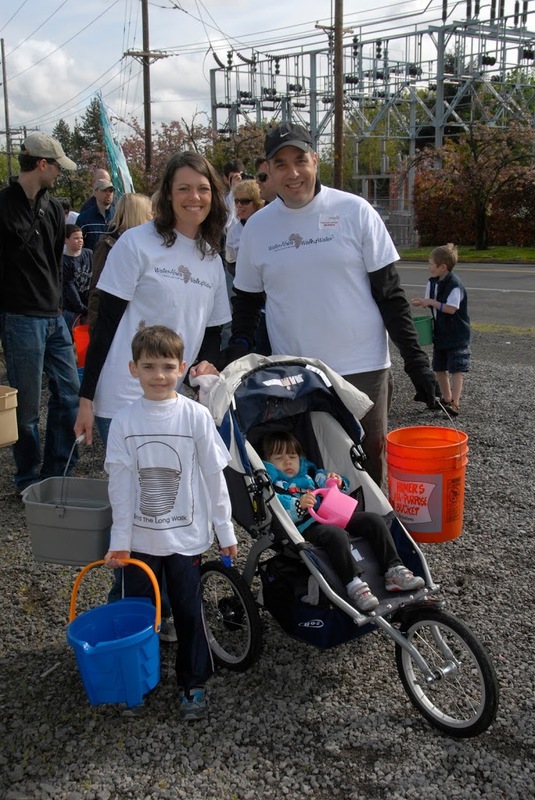 Everyone needs to have a connection to meaningful causes, and our company is proud to support Walk for Water. Hubbell Communication works with water issues, for example with clients in the Klamath Basin, green construction and sustainability. Hubbell Communications’ involvement in water issues and concern for natural resources makes Walk for Water an important and relevant cause to our company. If you would like to be Walk4Water Corporate Sponsor or Family Sponsor, you can find more information on our W4W5 Sponsor Page. The Water Africa program has been wonderful for me because it allows me to help less fortunate individuals across the globe. Clean water is something that everyone should have access to and it is easy to forget what a blessing it actually is. It was very hard for me to hear that in many parts of Africa thousands of people are walking up to 5 miles, three times a day to get their water. 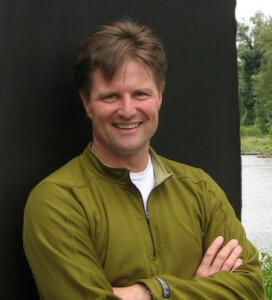 Often, the water is contaminated with harmful parasites and disease. 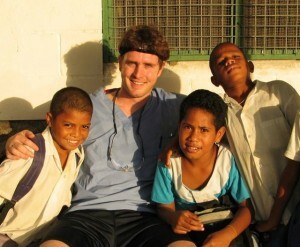 This program literally heals entire communities and villages. It brings life to them. By providing fresh water wells to these wonderful people, disease and death rates are lowered significantly. Instead of having to spend valuable time traveling to retrieve water, villagers can now be more productive in other areas of their lives such as school, crafts and agriculture. Knowing that my contributions are directly helping so many others in such a profound and long lasting way is truly priceless. This is a program that I plan on always being a part of and I am thankful that it found me.